Lady Katherine Grey was the daughter of Henry Grey, Marquess of Dorset, and his wife, Lady Frances Brandon. Her father was the great-grandson of Queen Elizabeth Woodville, and her mother was even more closely related to Henry VIII, as the daughter of his sister, Mary, the French Queen. At the time of Katherine’s birth, her family were on good terms with their royal cousins. Lady Frances (generally referred to as ‘My Lady Marquess’) was particularly close to her cousin, Mary, the king’s elder daughter. They spent time together and frequently exchanged gifts. Dorset himself had been favoured by Henry VIII, and, as well as being installed as a Knight of the Bath for the coronation of Anne Boleyn, he was also chosen as the King’s Sword Bearer at the actual ceremony. 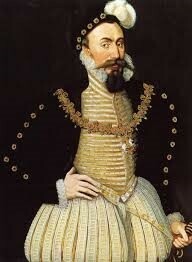 His marriage to the King’s niece in 1533, when they were both sixteen, seems to have been as successful as any arranged marriage of the period. The Dorsets had several children, but only three girls, Jane, Katherine herself and Mary survived infancy. 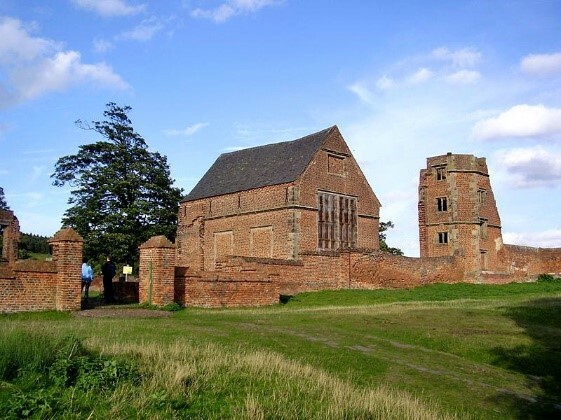 The young family were brought up largely at Bradgate Park, Leicestershire, and received the best education available. Dorset was strongly inclined to the Reformed faith, and, whether or not his wife totally agreed with him or not, his daughters were brought up in it. The Grey sisters benefited from the great leap forward in female education that occurred during the last quarter of the fifteenth century, and the first half of the sixteenth. As well as the traditional education of upper class women in household and domestic management, courtly skills such as music, dancing and hunting of various sorts, the girls received an academic education that included Latin and Greek. The tutor in the Grey household was John Aylmer who had been patronised by Dorset for some years. He later (1577) became Bishop of London, and was a supporter of the legitimacy of female rule (although in a rather half-hearted manner that didn’t endear him to Queen Elizabeth). The other men involved in the education of the Grey sisters were their parents’ three chaplains – John Haddon, a Fellow of Trinity College, Cambridge; Thomas Harding, holder of the Regius Chair in Hebrew at Oxford, and John Willock, a former Dominican friar. All four of these men who influenced Katherine’s education were, at that time, convinced reformers. (Harding later returned to the Catholic fold, and was treated to an excoriating written attack from Jane Grey.) All his life Dorset was a keen supporter of scholarship and learning, particularly in the more radical elements of the Reformed faith.